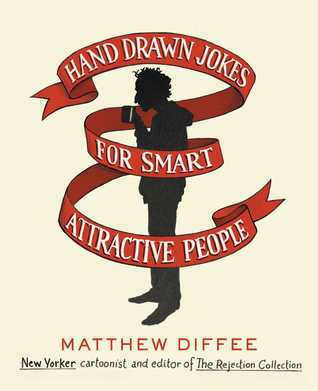 New York Times cartoonist Matthew Diffee brings us a book that is darkly and satirically hilarious. The jokes in this book are not for everyone and depending on your sense of humor you might find them offensive or you might not understand them at all. The cartoons have minimal text and require the reader to understand conceptual comedy. I had a lot of fun reading this one. The entire book is in black and white and the pages that have text are just beyond funny. If you're looking for a new coffee table book that will show you which of your friends are smart and which ones are not this is a perfect book, plus you get to tease them a little or a lot. Diffee really knows how to write an engaging collection of cartoons with very a very appealing title.